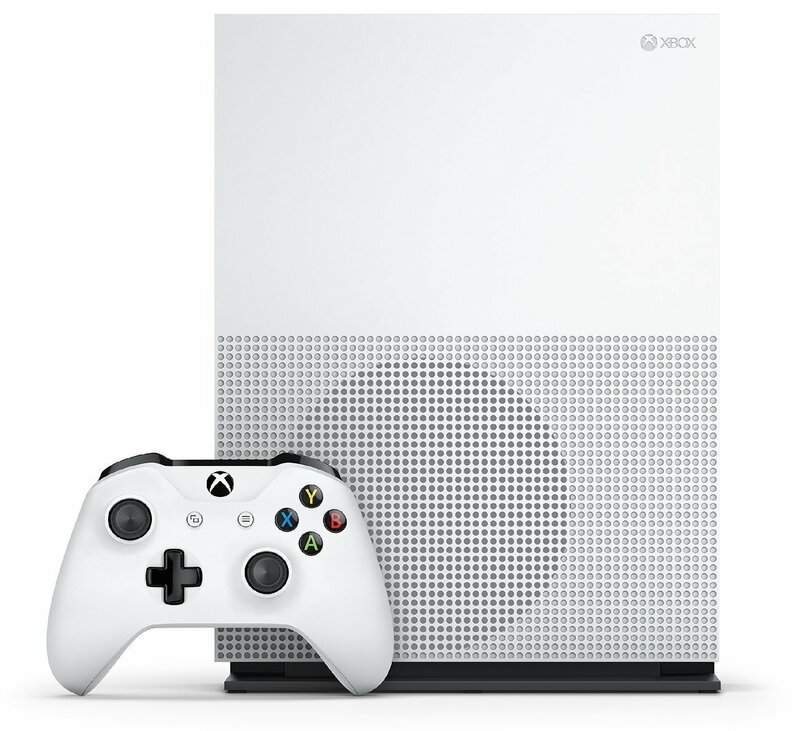 Introducing the new Xbox One S. Play the greatest games lineup, including Xbox 360 classics, on a 40% smaller console with High Dynamic Range. Store more games than ever with a massive 2TB hard drive. Stream 4K video on Netflix and Amazon Video, and watch UHD Blu-ray movies in stunning visual fidelity. Then experience the enhanced comfort and feel of the new Xbox Wireless Controller, featuring textured grip and Bluetooth technology. Now includes a vertical stand for the perfect setup and fit. With all the biggest blockbusters this year, everything you love about Xbox 360 is even better on Xbox One. 4K streaming with select apps, see xbox.com. Some apps require app provider-specific subscriptions and/or other requirements. HDR functionality available with supported games and TVs. Xbox One Backward Compatibility feature works with select Xbox 360 games. Xbox Live and broadband internet required for initial download of game to console. 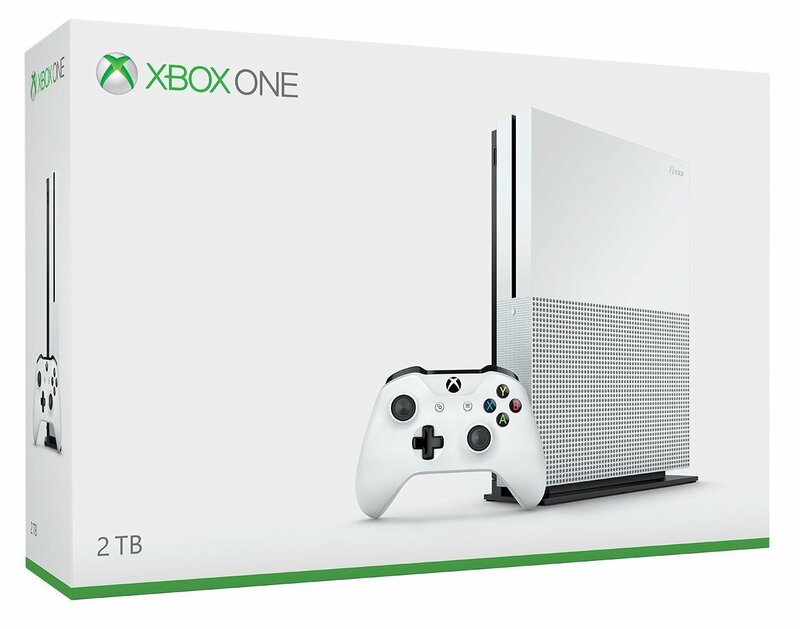 Includes: 2TB Internal Hard Drive Xbox One S Console, 1 Xbox Wireless Controller (with 3.5mm headset jack), 1 Console Stand, HDMI cable (4K Capable), AC Power cable, and a 14-day Xbox Live Gold Trial. Watch Ultra HD (UHD) 4K Blu-ray movies on your 4K TV and stream 4K video on Netflix (available now) and Amazon Video (coming soon). 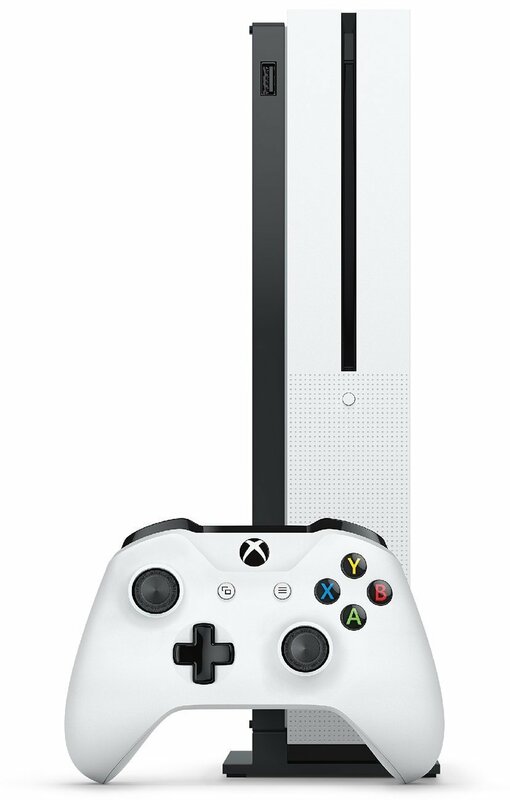 Compatible with Kinect for Xbox One: Kinect for Xbox One is compatible with Xbox One S via the Xbox Kinect Adapter for USB.